Few things are better than when bacon and cheese meet with buttery bread and have a party. These easy dinner rolls come together in a flash and only require three ingredients. 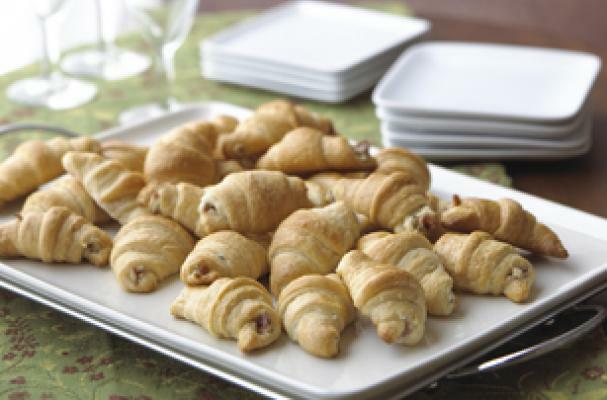 Chive flavored cream cheese is combined with crispy bacon bits and stuffed into store bought crescent roll dough. Bakers beware, you might want to make two batches of these because they are that good. Mix cream cheese spread and bacon until well blended. Separate each can of dough into 8 triangles. Cut each triangle lengthwise in half. Spread each dough triangle with 1 generous tsp. cream cheese mixture. Roll up, starting at shortest side of triangle; place, point-sides down, on baking sheet. Bake 12 to 15 min or until golden brown. Serve warm.